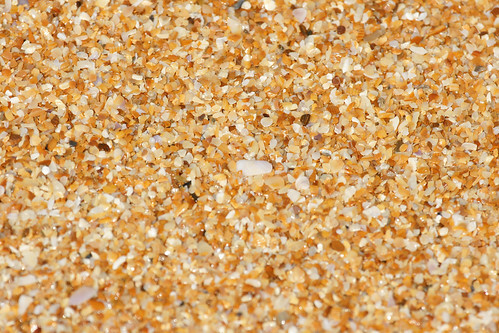 Cinnamon Beach "sand" is really not sand at all. Instead, it's the remains of the small shell fragments that have been beaten by the waves against rocks that are just under the surface (and can be seen at low tide). 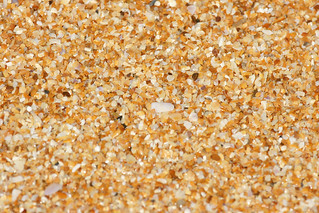 Made up of the shells, the beach takes on it's unique color.